Dogs have always been and always will be man’s best friend. They’re the kind of friends that are just happy to be included, smiling through rain or shine, wind and waves, and fishing days – both good and bad. Dogs have long been traveling with humans on boats and ships, but only recently on kayaks. Follow this guide to find the best kayaks for dogs. Here at The Adventure Junkies, we strive to help you learn new sports and find the best gear. 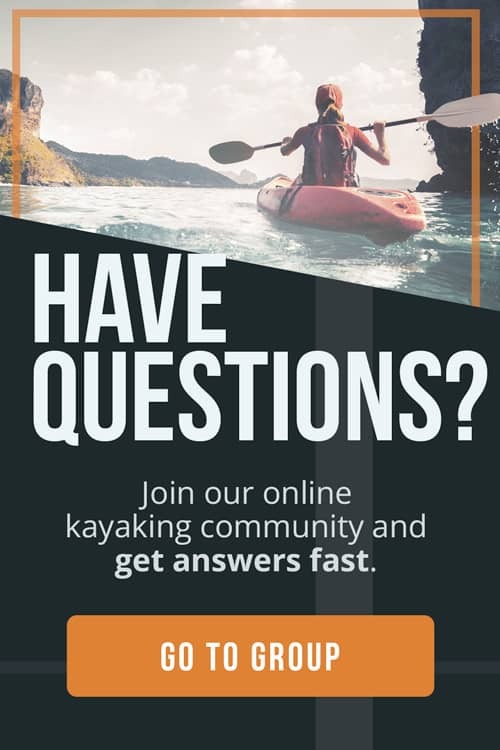 Whether you’re a brand new beginner, somewhat experienced or a seasoned adventurer, you’ve come to the right place for the best knowledge on the newest outdoor gear. 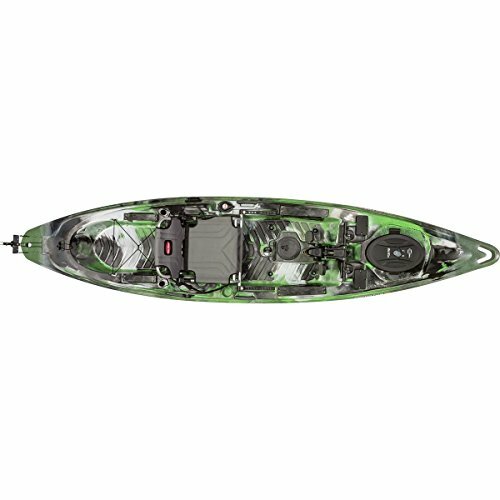 When you begin looking for the perfect kayak to share with your dog(s), it’s important to think about how you want your kayak to be configured. Some kayaks have one seat, some have two and some can accommodate one to three people. Single kayaks will not support multiple medium- to large-sized dogs. If this is the case with your family, a large, convertible tandem kayak will be perfect. Small dogs, meanwhile, will easily fit in a single kayak with their owner. There may be some overlap in the footrest area but if you don’t mind it, then there’s no harm done. If you’re comfortable with your dog sitting in a seat in front of you, a tandem kayak will suit you well. Some dogs are uncomfortable sitting in their own seat because it acts as a barrier between them and their human. To get an idea of how much room you’ll need, measure your dog from head to tailbone. This will give you a picture of the room they’ll take up when standing up on all four legs, and whether they are best suited to riding in a single or tandem kayak. 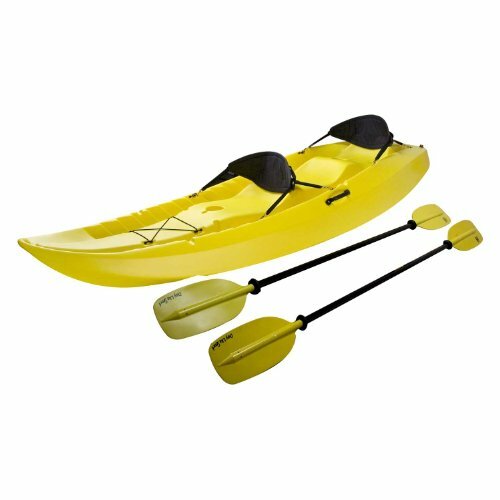 Tandem kayaks typically have double the storage room of single kayaks in the form of hatches or tankwells. While you may be able to fit yourself and your dog(s) into a single kayak, your cooler with cold beverages will likely be staying on shore. 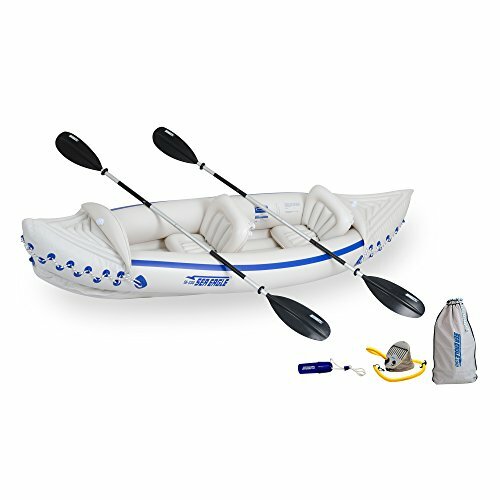 Consider what you’d like to pack for kayaking (extra layers, food, drinks, additional personal flotation, etc.) when choosing between single and tandem kayaks. 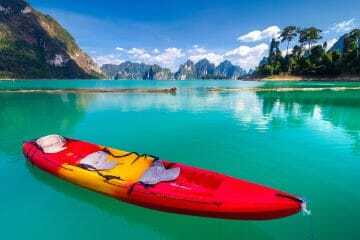 Kayaks, both single and tandem, are generally split into two categories: sit-on-top or sit-in. 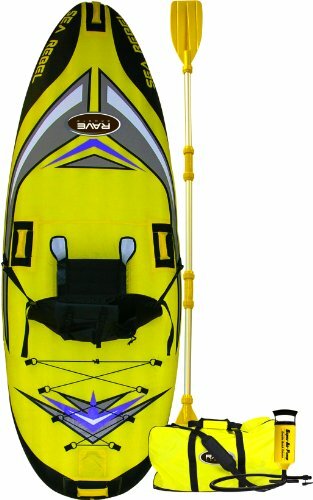 Sit-on-top kayaks are like floating platforms. Legs are exposed to the fresh air and sunshine. Sit-in kayaks have a cavity that encloses the kayaker’s legs. On the upside, sit-in kayaks typically offer more storage than sit-on tops. In single models, teacup dogs like Chihuahuas or Yorkshire Terriers will feel very safe sitting on your lap or between your knees. Some may even enjoy hiding in the kayak’s cavity down by your ankles. In tandem models, confident dogs can have a seat to themselves without compromising your leg room. 1. Dogs are more free to move around on a floating platform. They can jump off into the water and with your help, crawl back on. 2. They can’t fill with water if flipped. These kayaks are molded to hold air inside of them. 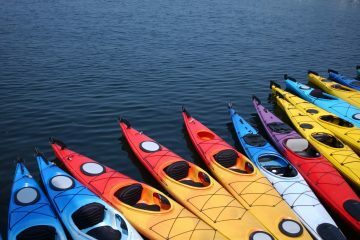 A number of “scupper holes” are molded throughout the kayak to allow water to drain back into the ocean, river or sea. Sit-in kayaks will likely fill with water and sink if they are flipped, which would be very bad for all parties involved. When kayaking with dogs, leg room can be hard to find. 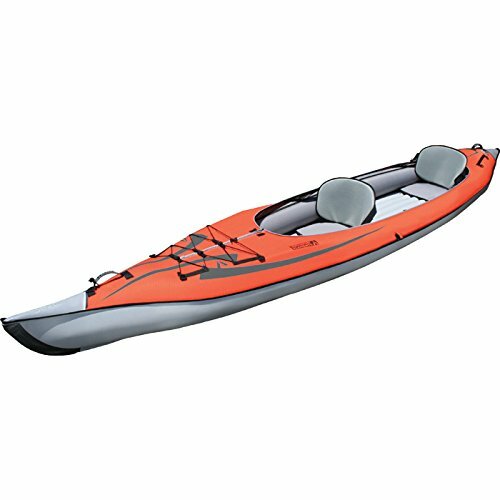 Plenty of recreational kayaks will have widths as small as 22 inches. 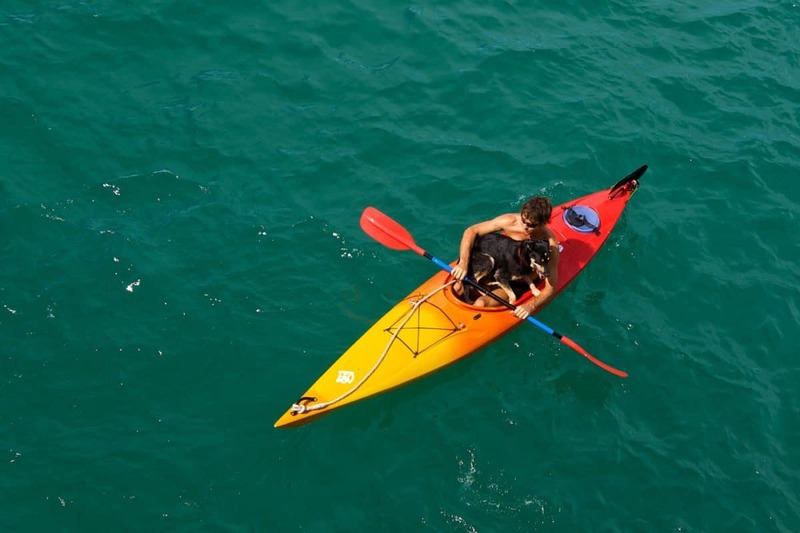 We recommend choosing a kayak, either single or tandem, that is 29-36 inches at its widest point. This will give you plenty of room for gear or extra space to splay your legs out to the sides if your dog is sitting by your feet. It’s also important to consider the size and shape of your canine friend when considering the width of a kayak. Dogs will be dogs. They’re not going to stand facing forward at all times. Once again, this is why knowing the length of your dog, from head to tailbone, is important. 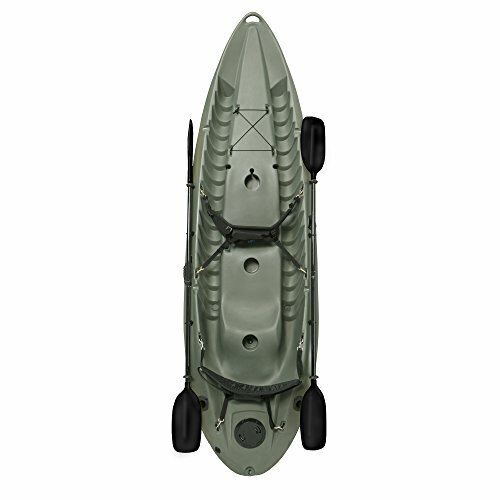 The kayak should be wide enough to accommodate both front and back feet of a standing dog. If they’re scrunched up or have difficulty turning around, it’s possible that one foot could slip off the side of the kayak. This could cause them to lose their balance and fall in. Not only will this tarnish your dog’s experience, they may be scared of kayaking the next time. In addition, it can be very difficult for you (and painful for your dog) if you’ve got to lift their 80 lb body back into the kayak by only their legs and harness. 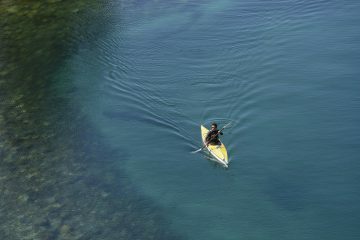 A stable kayak offers peace of mind and ease of travel. 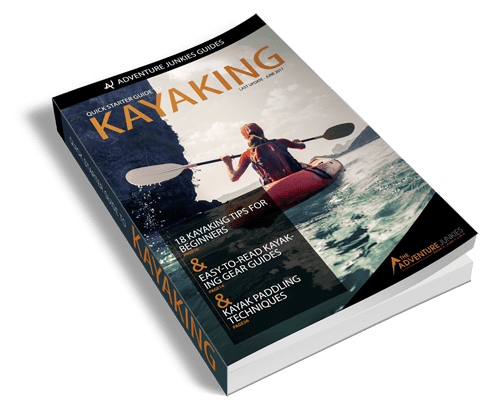 All of the kayaks reviewed in this guide are built to be at least moderately, if not highly, stable. Small dogs aren’t heavy enough to rock most kayaks. Big dogs are another story! 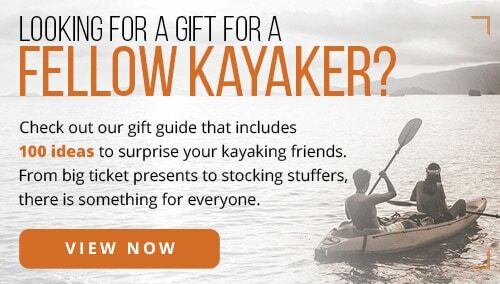 Should they see a bird, turtle or fish and start jumping around with excitement, the kayak could rock or flip. It’s never fun to lose electronics, not to mention, try to get back in a kayak and pull your dog in with you. 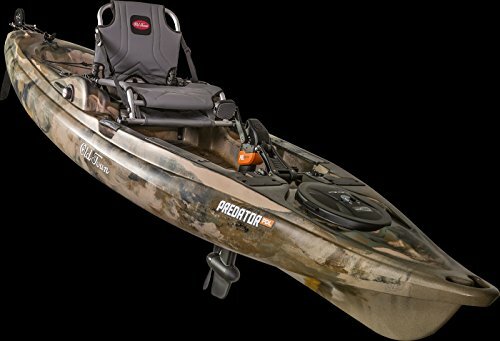 Fishing kayaks are built to be highly stable because many fishermen like to have the option of standing in them. 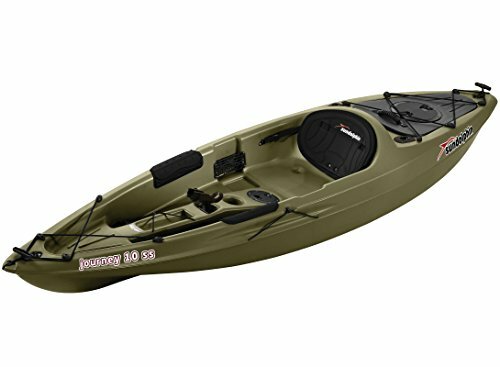 A few of the kayaks we’ve chosen are fishing kayaks. Whether you’re using them for fishing or not, these are some of the best options for kayaking with dogs.